Chiropractic sports medicine is an excellent resource for athletes, active teenagers, and anyone who might get hurt while performing a physical activity. Sports injuries are common in both kids and adults. They can result from team sports, after-school activities, or everyday life. Sports chiropractors are specially trained and qualified to provide pain relief and medical treatments for injured athletes without drugs or invasive surgical procedures. There are a few chiropractors in Evansville that focus on healing and preventing musculoskeletal injuries, such as a fall, bodily impact, or repetitive use injuries. How does a chiropractor treat sports injuries? Chiropractors diagnose and manage sports-related injuries in a variety of ways. One of their core competencies is to determine the cause of pain and dysfunction and recommend an appropriate therapy plan. Treatments may include soft tissue therapies, joint mobilization and manipulation, rehabilitation, acupuncture, clinical massage therapy, physiotherapy, and lifestyle advice. The goal here is to restore the proper functioning of the body, strengthening and healing damaged tissues as well as reducing pain. Chiropractors can relieve tension in the body via manual spine adjustments, ensuring that the bones are properly stacked and balanced. This allows the body to function with ease and become less susceptible to injury. We also use a variety of treatments for injuries of the neck or back and can help athletes alleviate pain and recover faster after an injury. Regular visits to a physical therapist or chiropractor can lead to a quick recovery. How can a chiropractor help prevent sports injuries? Regular chiropractic visits can help prevent sports injuries by properly aligning signals between the nerve cells, sensory organs, brain, and spinal cord. Chiropractors focus mainly on the spine, which is the main support of the body and they ensure that it is properly aligned. They also make sure that nerves are not pressed or compressed so their normal functioning can help protect against and prevent pain and injuries during exercise and physical activities. Aligning the neck, back and shoulders as well as bone alignment in manual therapies increases balance and improves overall the condition of the body. 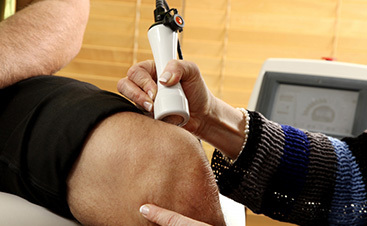 Sports chiropractors who practice muscle therapy use techniques, such as Active Release Technique (ART) and Graston, which are recommended for preventing injuries. For runners, chiropractic can be used to prevent injury as it highlights proper alignment of the spine and pelvis and a well-functioning backbone. This also means that runners, swimmers, cyclists, weight-lifters, and other athletes can perform at their full potential. Chiropractic care is helpful in reducing the recovery time from injuries and repairing the damage quickly and effectively so you can get back to what you love sooner and without pain. When regular chiropractic visits are implemented before an injury, it leads to an increase in athletic performance, especially for measurable factors, such as speed, agility, balance, strength and response time. 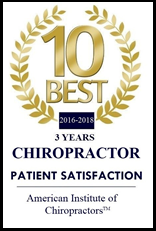 Dr. Eric Mitz is a top-rated family chiropractor and is accepting new patients at Integrated Physical Medicine in Evansville Indiana. He is the only chiropractor in the state to have credentials from the American Academy of Pain Management. His contributions to the athletic community have been published in Walking and Runner’s World magazines. Our individualized treatment approach ensures that every patient has the most effective strategies available for their specific needs. We are passionate about providing natural, holistic, long-lasting healing and pain-relief and prevention. Get Back to What You Love! Schedule an appointment at (812) 401-2140!